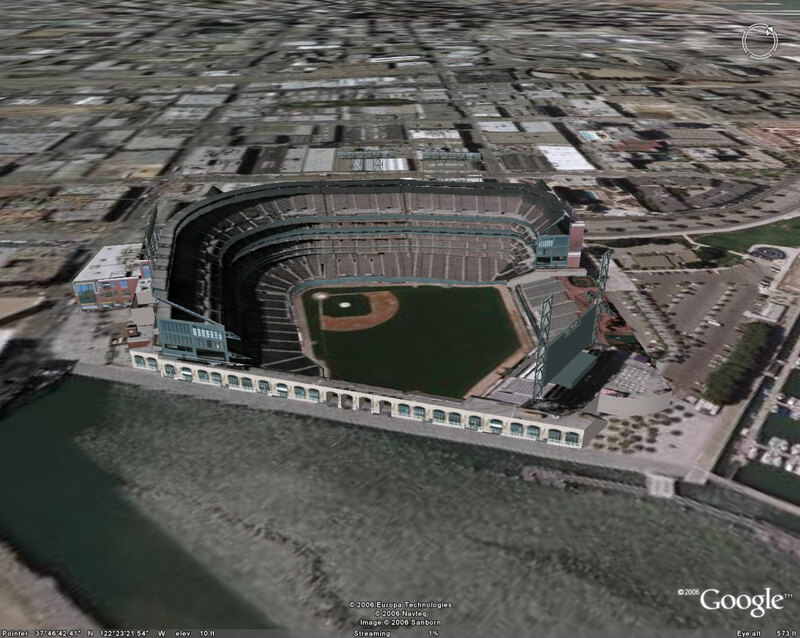 Google Earth has more 3D models available than any other digital globe and thanks to Frank for getting me a link to AT&T Park in San Francisco (I’m a huge SF Giants fan) from the Google 3D Warehouse. The 3D Warehouse is very easy to use, just click on the “View in Google Earth 4” and you see the result below. 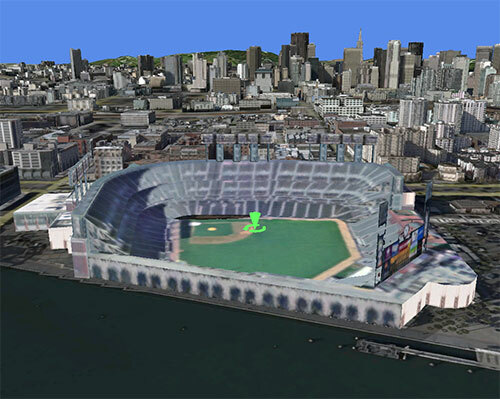 The Google 3D Warehouse model is so much more detailed than the default Virtual Earth model. The biggest problem with this method that Google uses is the background. 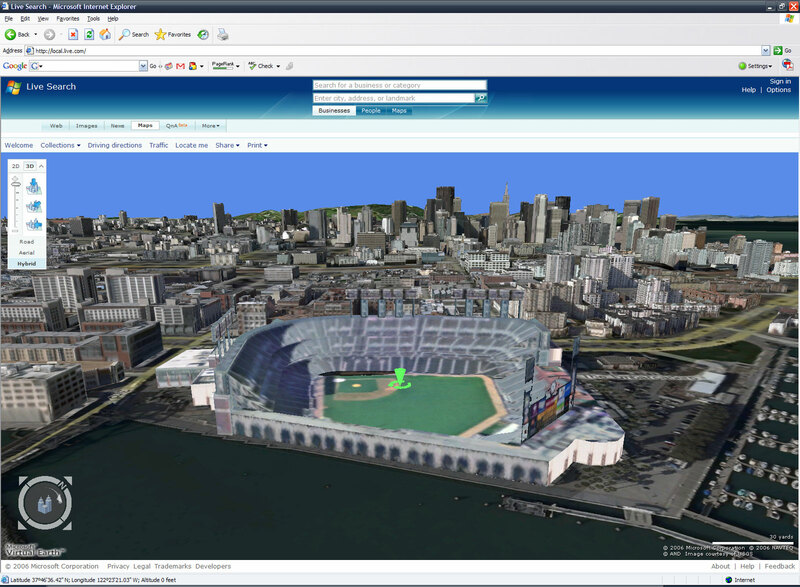 With Virtual Earth you get the whole city in the background and in Google Earth you get nothing (if you turn on the 3D buildings they cause problems with the AT&T Park model, not that you’d want them on anyway). So I do agree, you can’t compare Virtual Earth’s 3D cities with some of the wonderful models in the Google 3D Warehouse, but when looked at as a whole Microsoft’s method I think works better.